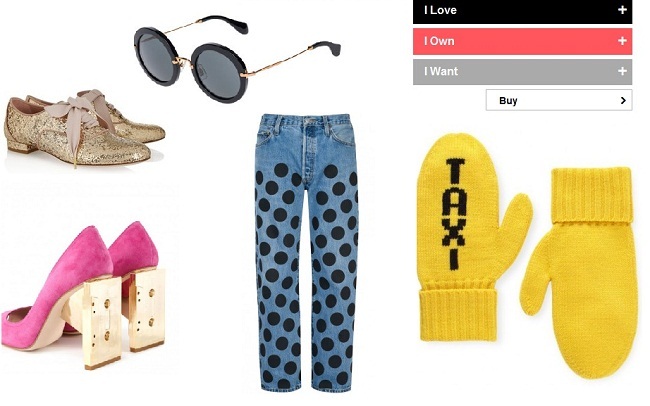 Recently a certain little Style StreetStalker was asked to collaborate with an awesome new online shopping destination called Rufflr to head up their Street Style section! 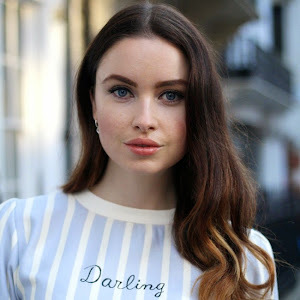 You may have noticed I have mentioned this site in my weekend guide a couple of weeks ago, well if you didn't here is sneaky peak at a site which is taking the fashion online industry by storm!! 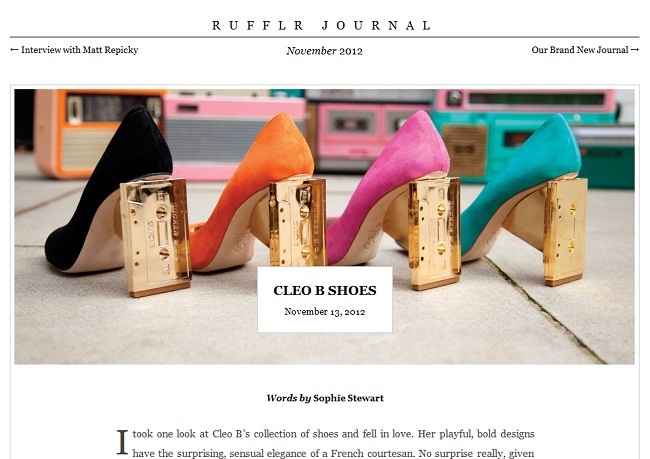 Rufflr is essentially an online wardrobe for keeping track of things you Love, Want or Own. 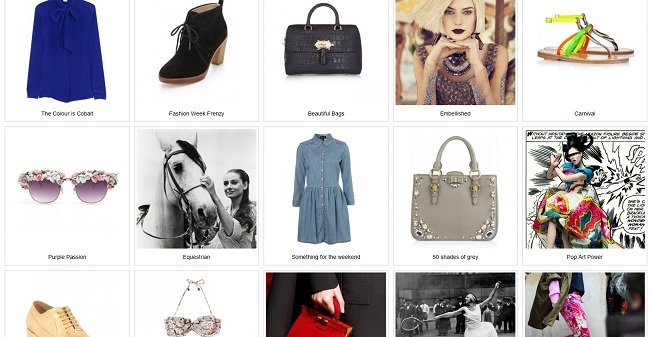 Here are some collections that the Rufflr fashionistas put together recently! As well as it being an easy way to store your fashion finds, they also have a fascinting bi-weekly journal, which was launched in November. Interviews have included Bryan Adams on his new venture into photography, Cleo B with her new range of shoes (see pictured), as well as reviews on the likes of Superga. All in all a very worth while read! As well as the journal and all the tastey fashion finds your friends will be 'Rufflring', there is also a very cool (if I say it myself) Street Style section. 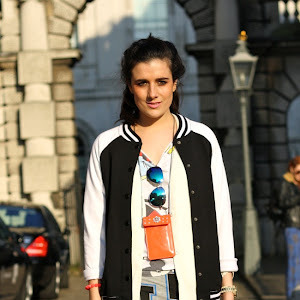 Here you will find street style from London to NYC. The London page is done by the Stalker herself (Meeeeee !) 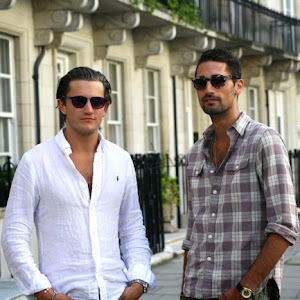 as I mentioned before, and the New York section is headed up by the talented Mikey Kay, a writer for the Huffington Post, who has style snapped the likes of Marc Jacobs and Peony Lim. This site is a relatively young, therefore, is at it's most exciting stage at the moment!! Check it out here, I'm thoroughly addicted and have already found some awesome unique items on there which I would never neccessarily found before! Warning though once you get sucked into the world of Rufflr it's very hard to leave!!! Thanks hun! Of course i will! Loved the post! Happy thanksgiving! Let me know if you would like to follow each other? Haha, those caste shoes are really cool! I want those shoes! Where are they from?